When you begin searching for a dermatologist, you might find yourself quickly overwhelmed with options. Many physicians are primarily focused on cosmetic procedures, but what if you need a dermatologist who treats only medical skin conditions? 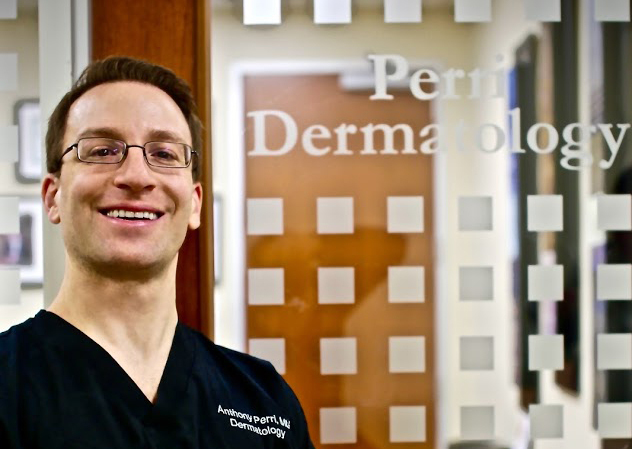 The Woodlands and Conroe dermatologist Dr. Anthony J. Perri’s interest in dermatology began when an early diagnosis of melanoma saved his father’s life. He knows firsthand how important providing timely quality service is to your health, which is why he’s built his practice with added flexibility for your schedule and a focus on understanding your needs. Additionally, Dr. Perri is Texas raised and Texas trained, so you’ll always feel at home in his care. Aside from these, it is important to monitor your skin for any changes. Even something as innocuous as a slight change or irritation in a mole can be sign of something more. Regular skin cancer checks are essential for early detection, and even if the area of concern is diagnosed as benign, you will have peace of mind in this knowledge. Mild: typified by small blackheads, whiteheads, or pustules appearing at or near the skin’s surface. In some cases, mild acne can sometimes be controlled at home by gently washing twice daily and the use of topical treatments such as can benzoyl peroxide and/or salicylic acid. Moderate: deeper and more extensive, moderate acne usually requires dermatological help in the form of over-the-counter or prescription medications. Severe: presenting as deep cysts, inflammation, and extensive skin damage, severe acne often requires additional dermatological intervention including drug therapies and occasionally steroid injections to treat effectively. Even in mild cases, the best way to avoid permanent scarring is to see a dermatologist. The Woodlands and Conroe residents suffering from acne should make an appointment with Dr. Perri to determine which treatments are best. Dr. Perri is far and away the most professional, caring, attentive, and knowledgeable doctor I have ever had the opportunity to meet. So many doctors fake the caring portion of patient treatment but Dr. Perri is genuine in his concern for his patients. I would highly recommend him!!! Dr. Perri is excellent! I have been going to him for over a year and he is the best dermatologist that I have seen in the greater Houston/Conroe area. I am always able to get an appointment in a timely manner. Thank you Dr. Perri. Developing a routine of monthly self-exams is very important. Aside from self-checks, though, it’s important to have annual skin exams, by a dermatologist as a board-certified dermatologist can often detect things you might miss. During these exams, you should point out any skin abnormalities, such as new, changing, or strange looking symptomatic moles or skin lesions. Of particular concern is melanoma, which tends to run in families. Annual skin exams can help monitor and detect worrisome changes as early as possible on moles and other potential warning signs over time to ensure they don’t become a cause for concern. At Perri Dermatology, it’s our commitment to provide you the best care possible in a timely manner. This is why we offer flexible appointment hours to help accommodate your schedule and two convenient locations: in The Woodlands at 9305 Pinecroft, Suite 305, and in Conroe at 4015 Interstate 45 North at League Line Road. 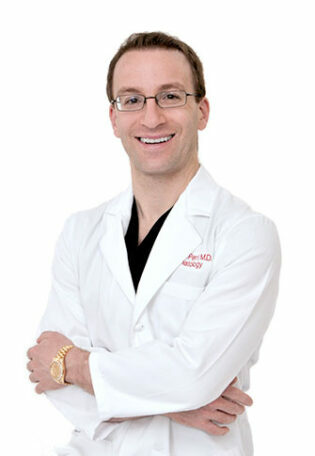 Dr. Perri, is highly trained, experienced, compassionate, and eager to help. If you’re looking for an outstanding dermatologist in The Woodlands/Conroe area with patient-centered skincare, look no further than Perri Dermatology. We hope to see you soon.